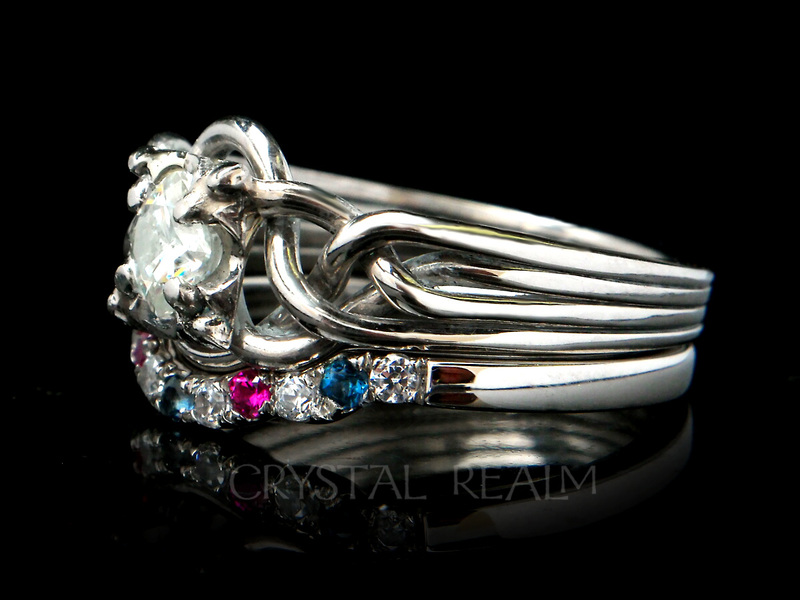 A sparkling rose pearshape with the added color of a pastel aurora borealis coating on the back looks beautiful on a 6.5 in. 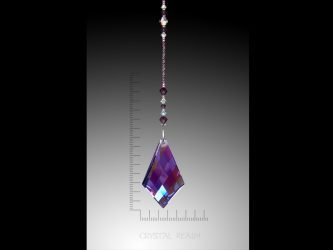 beaded hanger in complementary tones. 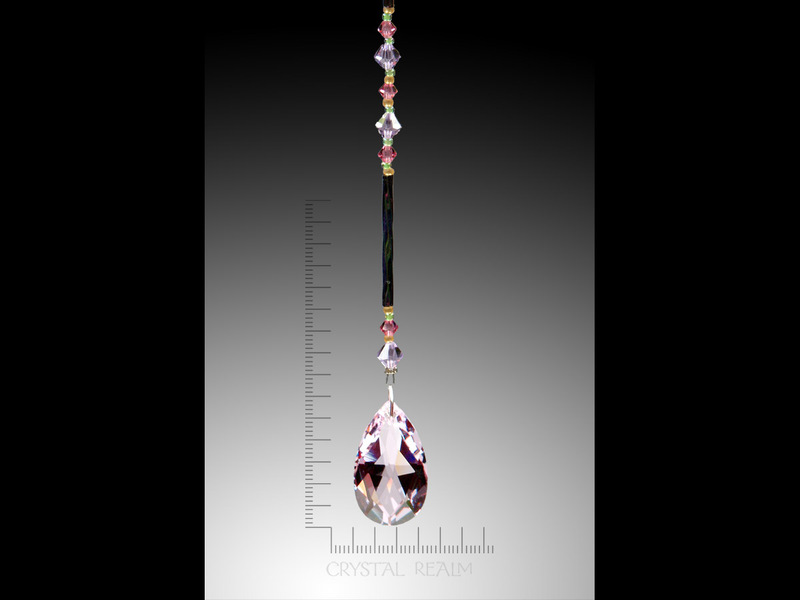 Let us choose the prettiest hanger in that color to go with your crystal. 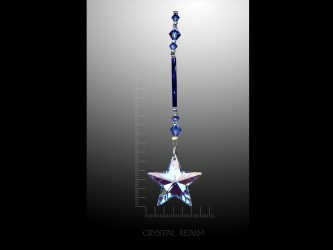 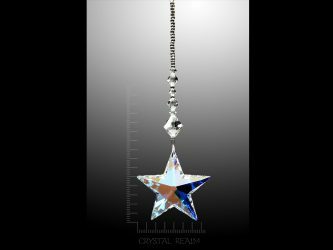 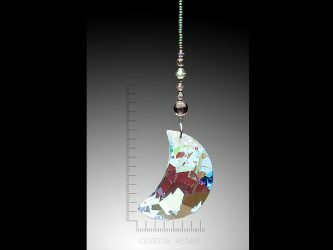 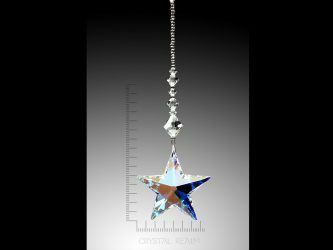 Our exclusive Crystal Realm bead hangers are made in a variety of beading patterns using Swarovski Austrian crystal beads and either long glass bugle beads (shown) or seed beads. 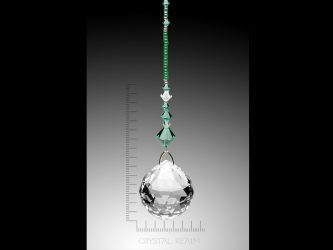 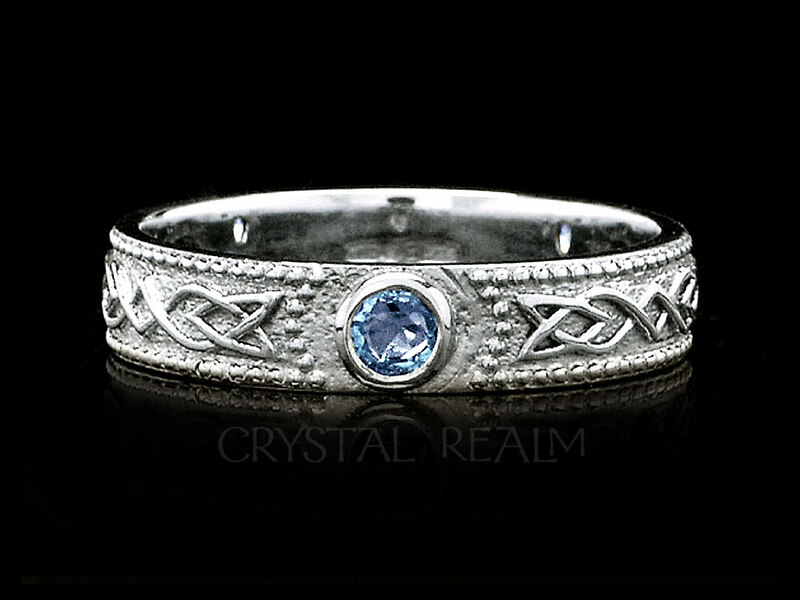 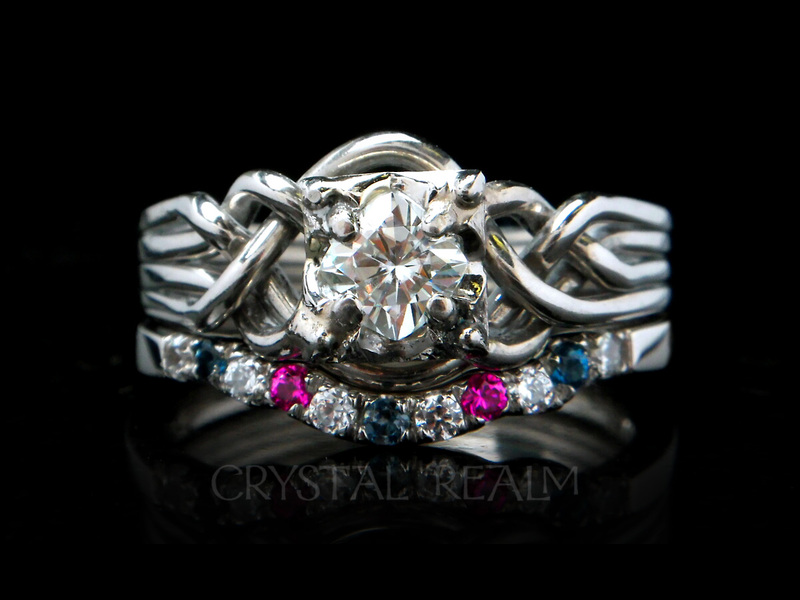 Please choose the main color you want, and allow us to select a beaded strand that complements your crystal beautifully.